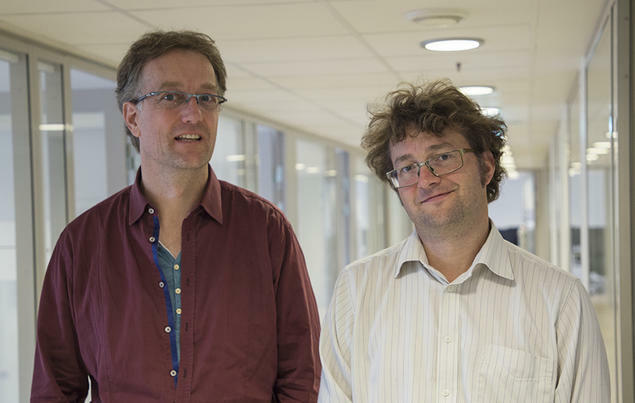 Haug and Oepen are spending a year at CAS to bridge what they described as a divide between the applied and theoretical camps in the field of formal and computational linguistics. Their work, they said, could help spark future technological advances. Their research group features scholars who range from developers to experts in theoretical syntax and semantics, representing institutions in the Czech Republic, the Netherlands, Norway, Poland, Sweden, the United Kingdom, and the United States. The group is one of three hosted at CAS during the 2017-18 academic year, the centre’s 25th anniversary. Read more about the project, SynSem: From Form to Meaning - Integrating Linguistics and Computing, here. Haug and Oepen sat down shortly after arriving at CAS to discuss their plans. SO: The field of formal and computational linguistics has developed in two different directions, focusing intently on either applied or theoretical challenges, which has weakened the connection between the two. On the one hand, the people working on products such as Google Translate today tend to lack knowledge about linguistics and language science. DH: And on the other hand, you have theoretical linguists researching language and grammar without necessarily worrying about how to make their work comprehensible to computers. SO: There have been some breakthroughs – translation technology has become a consumer product – but it’s not apparent that will continue to improve by leaps and bounds every year. The development is beginning to slow down. We believe there are theoretical shortcomings to the current approach. To take that next step, you need a better foundation built on linguistic theory. SO: We’re left with the feeling that there are some challenges that require both applied and theoretical knowledge. This project is really an attempt to revive that connection, and there aren’t many research arenas where that kind of arrangement would be possible today. DH: That’s why CAS is such a good fit for what we’re trying to do – that we can bring together people from different backgrounds. DH: The whole point of this group is to highlight how fundamental language research can benefit technological development. SO: We believe that the stagnation we’re anticipating on the applied research side is due to a lack of a connection to – and even knowledge about – what fundamental research has offered in the past and continues to offer. Fundamental research has, in this field, retreated somewhat back into its own corner. We’re going to tease it back out.